Beans are a pantry staple in my house. Economical and a good source of protein, it makes sense to keep them around in canned and dried form. Canned beans in particular are good in an emergency when the pantry is bare and people are hungry. 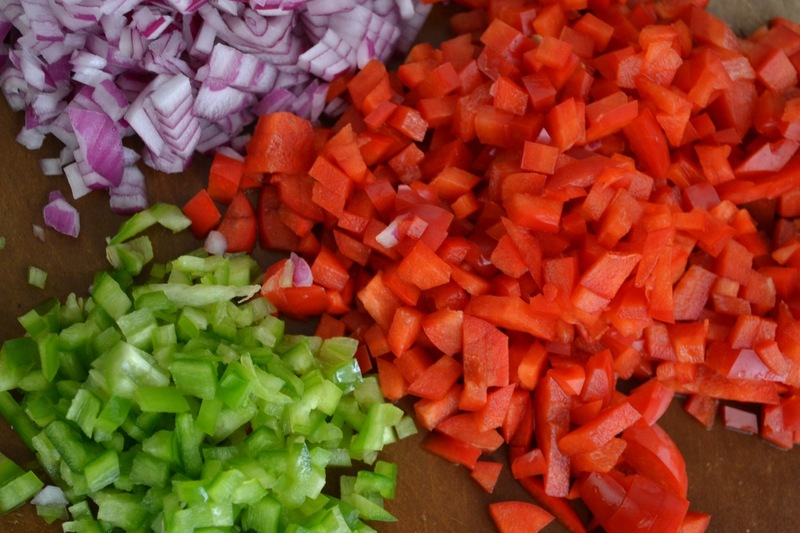 Heated with a few seasonings one can serve them atop rice, throw them into a salad, or blend them into a quick dip. Canned beans compared to dried beans are a time-saver, but they are also more expensive and often contain a high amount of sodium. I justify the higher price based upon convenience and I cut the sodium by always rinsing canned beans under water before serving. This simple step can reduce the sodium count by up to 50% and makes me feel better about taking the shortcut. While my cupboard has always contained both dried and canned beans, until recently I only kept black-eyed peas in dried form. 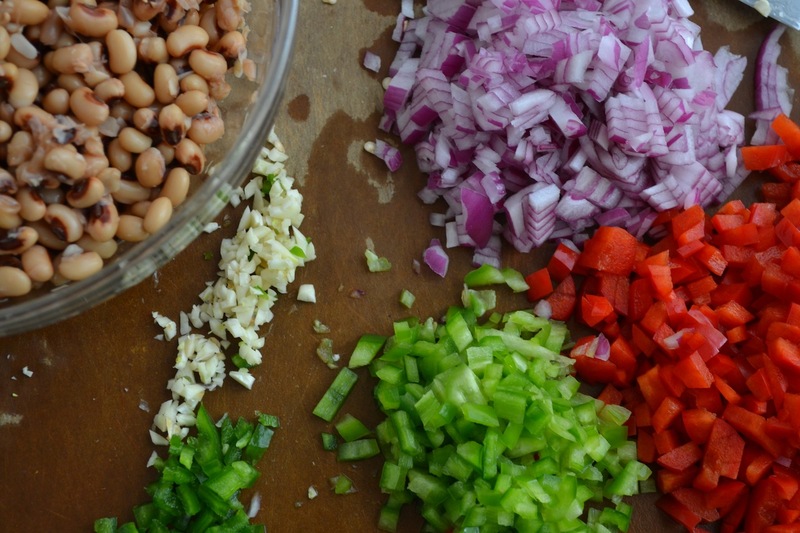 I grew up eating black-eyed peas once a year on New Year’s day. 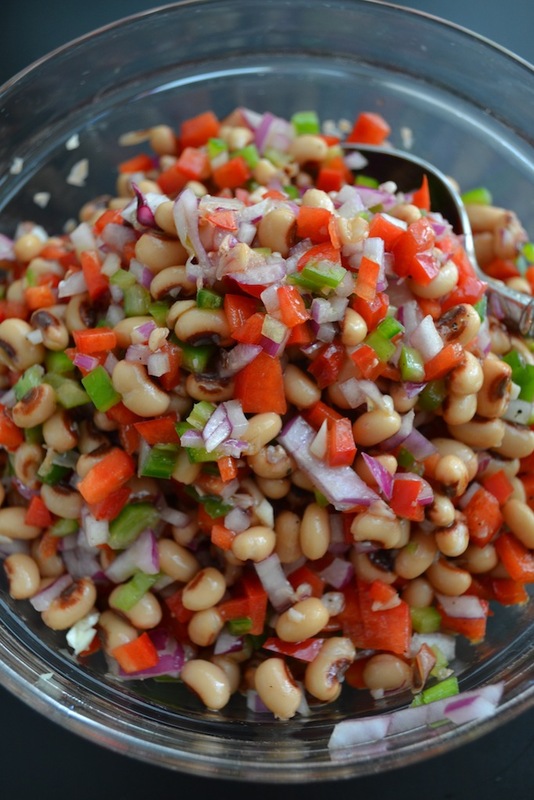 Paired with braised collard beans, I doused the black-eyed peas (served in the dish known as hoppin john) with hot pepper vinegar and superstitiously ate everything in order to bring wealth in the new year. The collards symbolized greenbacks while the black-eyed peas were eaten to fill your pockets with coins. Dried black-eyed peas and collards cooked for hours before serving and while leftovers might fill the fridge for a day or two more, black-eyed peas wouldn’t grace my table again for another year. And then I learned about Southern (or Mississippi) caviar and added canned black-eyed peas to my shelves. This is the dip you want in the spring and summer when both you and your beverage of choice sweat with the heat. Cold and refreshing, this dip keeps for days in the fridge and is the ideal afternoon snack with a handful of tortilla chips or the perfect company appetizer when accompanied by endive spears and pita chips. I even like it atop mixed greens for a light lunch or spooned over a hotdog in place of relish. 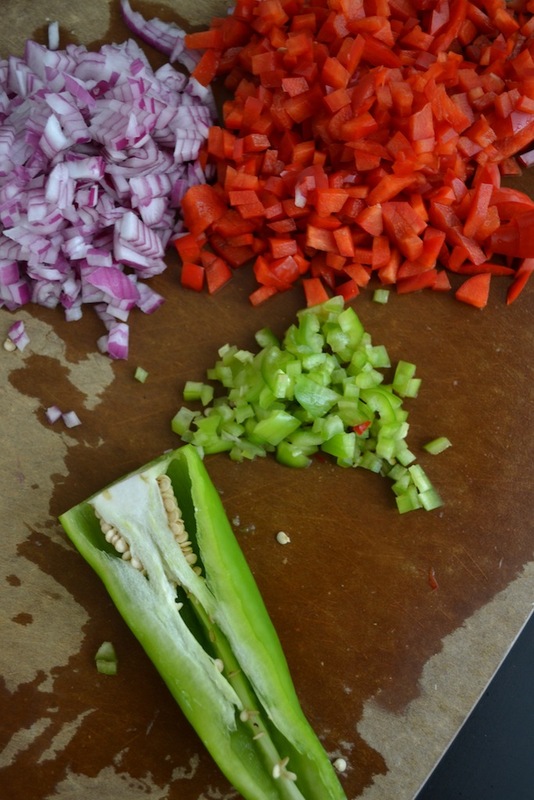 The banana pepper doesn’t add much heat although the addition of jalapeño will bring the fire. Southern caviar is also endlessly adaptable as a quick Google search proves. 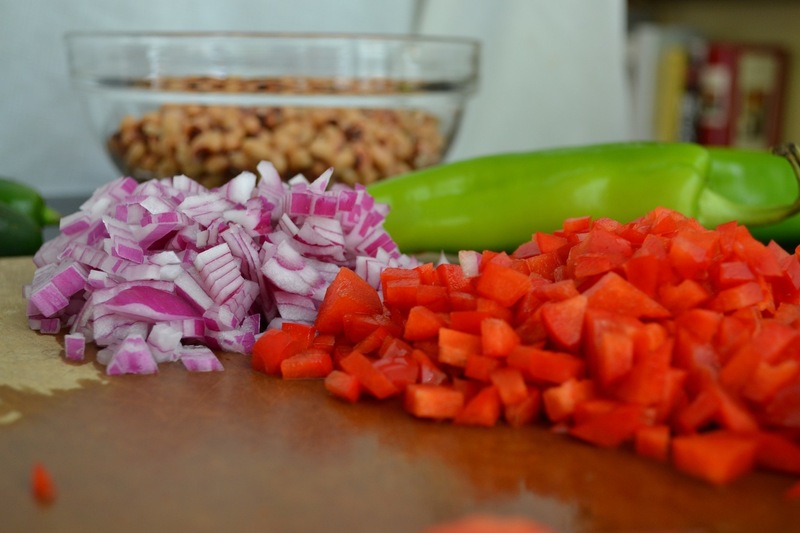 Corn kernels, green bell pepper, diced tomatoes, roasted bell pepper, different types of beans, and fresh herbs can all be added with abandon. No matter how you make it, be sure to let it sit as the flavors meld together with time. Also, be sure to adjust the seasonings right before serving. You perceive salt in hot foods more than cold foods and after chilling it might need a bit more salt to really wow. Happy cooking! As a general rule of thumb, the smaller the pepper the spicier it will be. While the large banana pepper may seem intimidating, it’s got a mild tangy taste that won’t pack much heat. 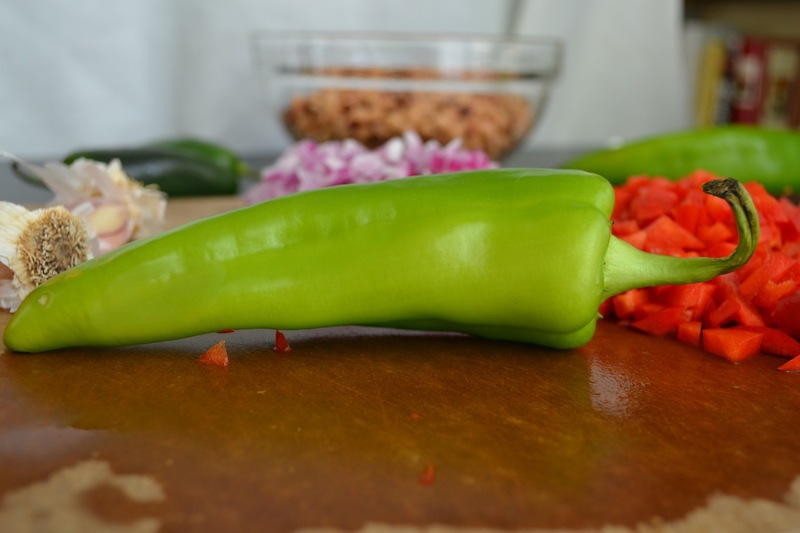 Jalapeno on the other hand can range from mild to spectacularly hot. Always use gloves when handling jalapenos and be sure to taste the pepper before adding with abandon. Combine all the ingredients in a medium bowl and toss to coat. 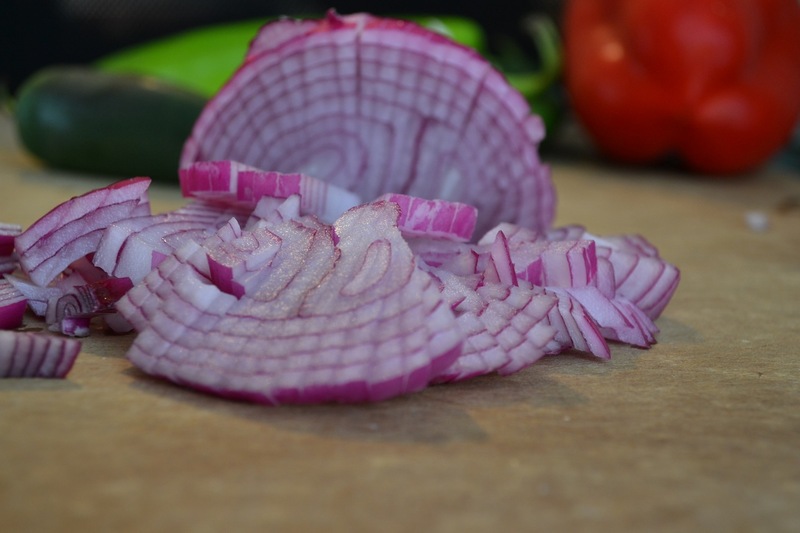 Chill for at least 2 hours before serving with tortilla chips, pita chips, or endive spears. Southern caviar also can be served atop hot dogs or grilled chicken as a relish or even served on its own atop mixed greens.